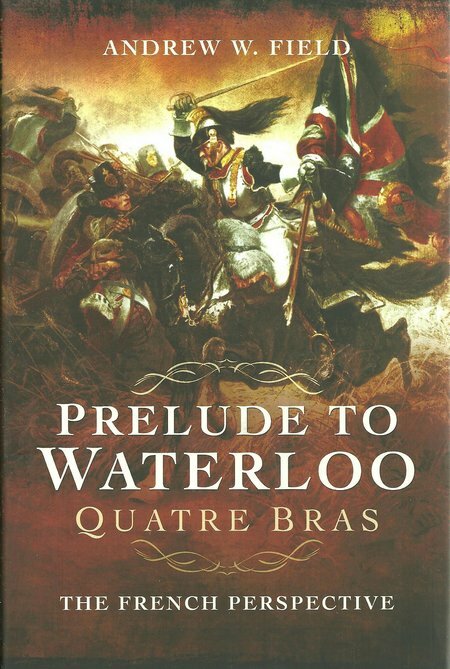 DESCRIPTION: The author has produced the most interesting account of the vital battle that preceded the main battles of Waterloo. He has based his review on French primary sources that have never been published before in English and the book has been published to mark the 200th anniversary of the battle. Naturally, the French view of Quatre Bras differs in several respects from the widely read English accounts and reviews. There has long been an unfounded belief that any written history must be correct, even though it is produced by collecting together primary source material and interpreting it to produce the historical view. Naturally, the victor writes the most widely read, and sometimes the only, history of conflict and battles. It should always be remembered that the views of those who fought in the conflict are much like the eye witness statements collected by police after a criminal incident. Frequently no two witnesses can agree on even the most fundamental aspects, such as the height and gender of the attackers or the victims. Even military officers, who have been trained to view, calculate and remember the key factors in a battle, fair little better than a witness to a robbery. It is natural to expect some major variations in views between enemies because their view is coloured by their loyalties and their jealousies. After a battle, the victors want to be seen in the best possible light and to take credit for everything of advantage, even though it may have been a happy accident. The vanquished look to excuse their failures and to identify scape goats who can be blamed for defeat. When, some years later, comrades recall past events they often have difficulty in agreement over things that might seem so obvious. Given all of the variables and contradictions, it is a small wonder that any history is recorded. The starting point must be the cardinal facts and these are inevitably part of the victor’s view. Wellington won the Battle of Waterloo. The French fled the field in some confusion and Napoleon had to fight with his own men to cross a bridge on the escape route. After the battle, Wellington survived to a good age and became Prime Minister. Napoleon was taken prisoner and carried into a permanent exile on a British warship. He was to die in his place of exile. Britain went on to build a huge empire and had established a supremacy that France was never again to challenge. Viewed like that, its game set and match to Britain and abject failure for France, ending a conflict that had rumbled on for almost a millennium. As with the battles of the Hundred Years War, the wars with France and Spain from the 16th Century revisited the sites of earlier encounters and often a result was repeated. Wellington was placed in charge of a somewhat ragtag collection of Allied forces and there was even debate between the Allies of who should be selected to command, even though Wellington had by far the best qualifications. He knew that Napoleon must advance on the Allies in the Brussels area, bring them to battle and decisively win, to secure his return as Emperor of France. Wellington accordingly scouted the area to the south and east of Brussels to choose his preferred place of battle. He read accounts of earlier battles in the same area a hundred years before when Churchill had fought a brilliant campaign. Waterloo was not therefore a chance location but a place where Wellington had already viewed the ground and considered how he would deploy and where the French would come onto him. He favoured a fan of pickets to provide clear and early warning of the enemy’s location and line of advance. He looked for ground that would allow him to gather his reserves in safe dead ground to avoid the enemy artillery but be able to form line or squares to take on the cavalry and infantry that must follow the bombardment. Quatre Bras was a location he had already considered as point to observe the advancing enemy, slow that advance and direct the enemy to advance as Wellington wished. This might have been suspected by the enemy, but they did not fully appreciate how Quatre Bras featured in Wellington’s pre-planning. Battles are the source of a great “what if” game. Had something not happened, or if a commander had seen something that was invisible at the time, the outcome of the battle might have been very different. The reality was that Wellington was not commanding his Iberian army at the height of its ability and Napoleon was not commanding the army that had carried him victorious through Europe. Wellington depended on untried Allies and Napoleon was now in poor health and without Berthier as Chief of Staff.